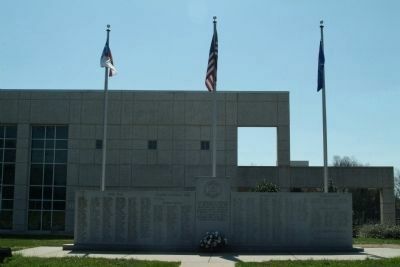 The Memorial Is Dedicated To The Honor Of All The Brave Men And Women Of Alamance County Who Fought In Service To Their Country And In Memory Of Those Inscribed Here Who Died In Defense Of Our Freedom. 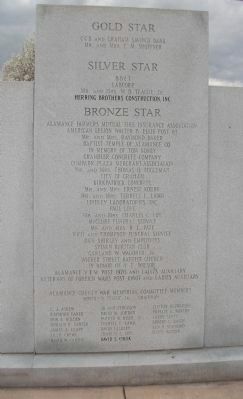 Robert C. Allen, Roy C. Anderson, Harrell C. Askew, William S. Ausley, Claiborne H. Baker, Melvin W. Baker, Robert S. Baker, Jim R.L. 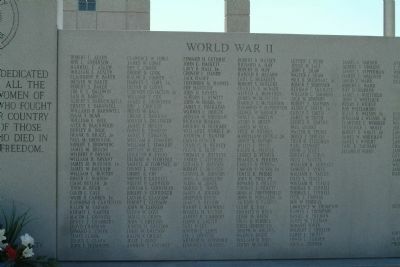 Baldwin, Sam H. Barnes, Albert L. Barneycastle, Ernest E. Barnwell, Willard H. Barnwell, Isaac F. Bear, William E. Bell, Alex B. Blackwood, Burley R. Booe, Frank B. Bragg Jr., Paul M. Browning, Robert F. Browning, James M. Bryant, Wilbert P. Bryant, William H. Bryant, James M. Buckner Jr., James W. Buckner, William C. Bunton, Roger C. Burton, Isaac Butler Jr., John H. Byrd, David L. Cale, Wade H. Carden Jr., Raymond H. Carpenter, Ralph M. Carson, Kermit L. Carter, Macon J. Caviness, Dewey T. Chambers, Lloyd Chapman, Edwrd L. Cheek, James Clark, Julius L. Clark, John E. Clemmons, Clarence W. Coble, James W. Coble, Roy C. Comer, Brodie D.
Erected 1996 by The Citizens of Alamance County. Location. 36° 4.153′ N, 79° 24.216′ W. Marker is in Graham, North Carolina, in Alamance County. Marker is on West Elm Street. Touch for map. 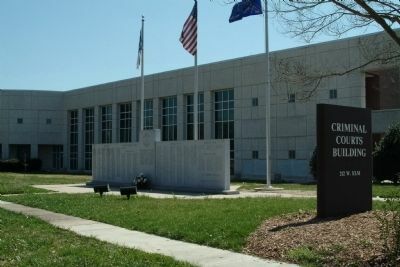 Located in front of the Alamance County Criminal Courts Building. 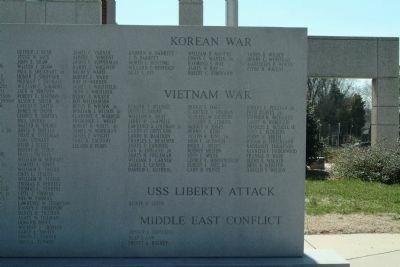 Marker is at or near this postal address: 212 W. Elm Street, Graham NC 27253, United States of America. Touch for directions. 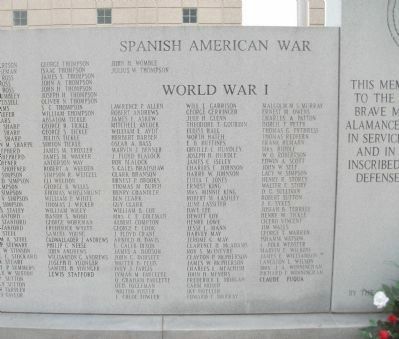 Time Capsule is located to the left of the War Memorial. 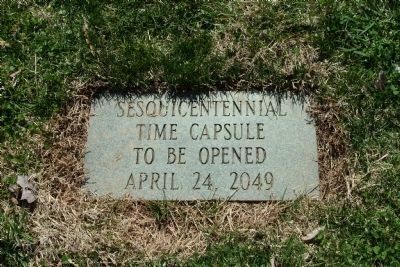 It was placed on April 24, 1999.
of this marker. National Bank of Alamance (approx. 0.2 miles away); "Elmhurst" (approx. 0.2 miles away); Graham's First Bank (approx. 0.2 miles away); Alamance County Courthouse (approx. 0.2 miles away); Wrike Drug (approx. 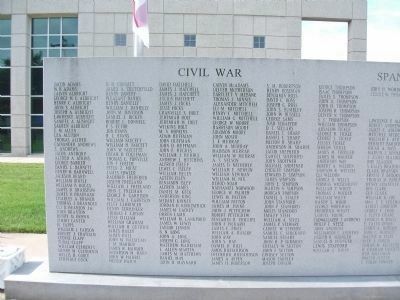 0.2 miles away); Alamance County Confederate Memorial (approx. 0.2 miles away); Vestal Hotel (approx. 0.2 miles away); Montwhite Building (approx. 0.2 miles away). Touch for a list and map of all markers in Graham. More. 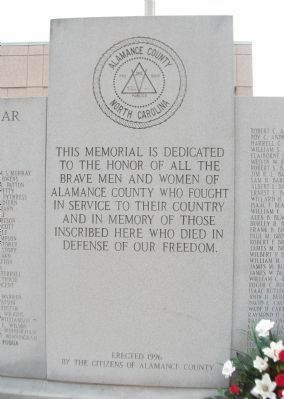 Search the internet for Alamance County War Memorial. Credits. This page was last revised on June 16, 2016. This page originally submitted on March 21, 2010, by Paul Jordan of Burlington, N. C., U. S. A.. This page has been viewed 5,421 times since then and 74 times this year. Last updated on June 2, 2010, by Paul Jordan of Burlington, N. C., U. S. A.. Photos: 1, 2. submitted on March 21, 2010, by Paul Jordan of Burlington, N. C., U. S. A.. 3. submitted on June 2, 2010, by Paul Jordan of Burlington, N. C., U. S. A.. 4. submitted on March 22, 2010, by Paul Jordan of Burlington, N. C., U. S. A.. 5, 6, 7, 8, 9. submitted on March 21, 2010, by Paul Jordan of Burlington, N. C., U. S. A.. • Craig Swain was the editor who published this page.